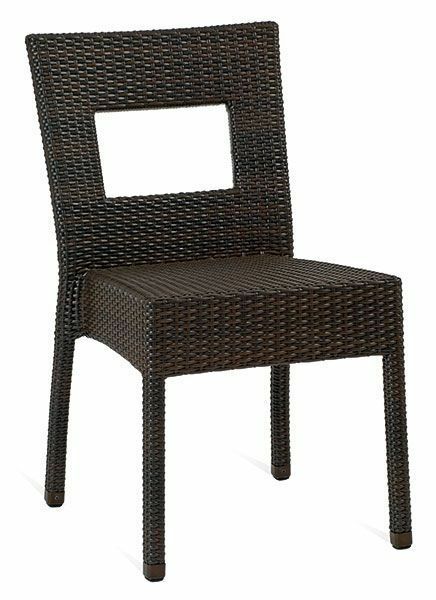 Contemporary rattan weave chair in Java weave. Designer square hole in the back. Suitable for indoor and outdoor commercial use. Available from stock for free and fast delivery. Contemporary style Java weave bistro chair designed for indoor and outdoor commercial use includes a distinctive square slot on the back. Mix and match with our different variations in the Leo range.